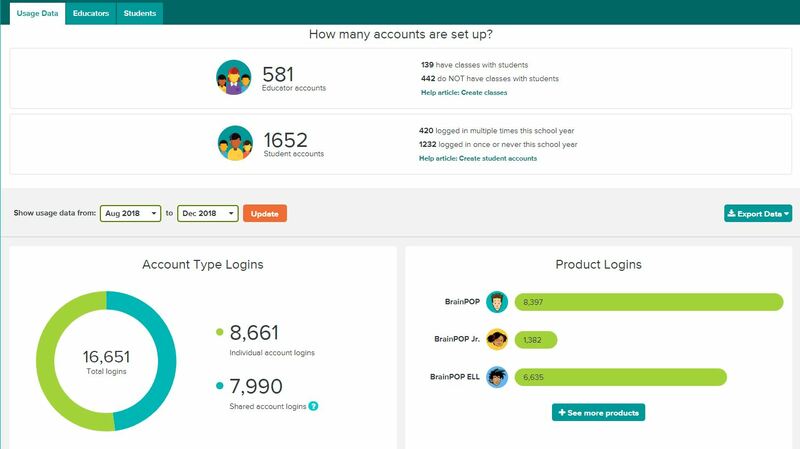 My BrainPOP administrators can view information about their school subscription and usage data in the Admin Dashboard. 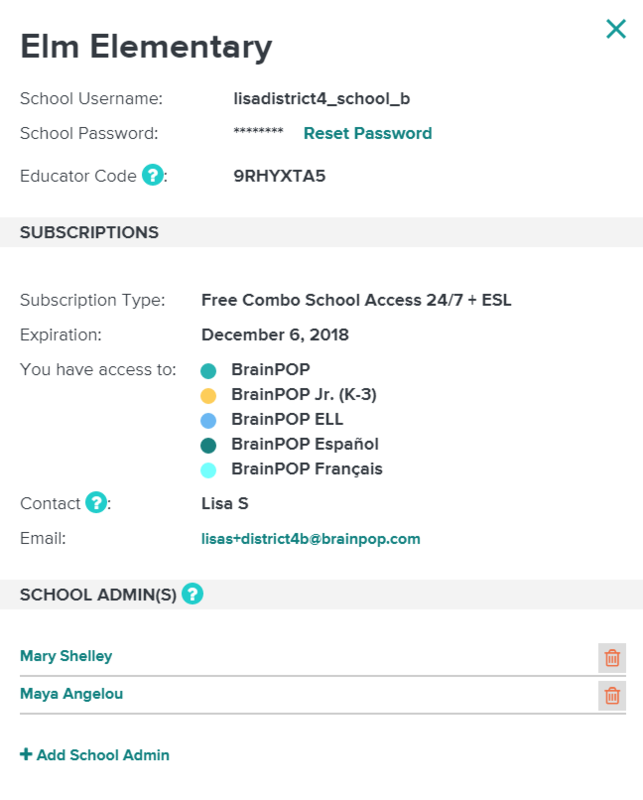 Here you can view the school's subscription information. To adjust the time range, choose months in the two dropdown menus. Set the time range using the date dropdown menus. Click Go to load the data. 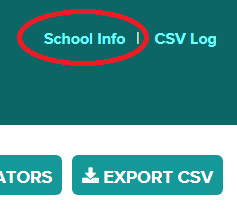 Click Export to download the data in CSV format. How often does the usage data update? 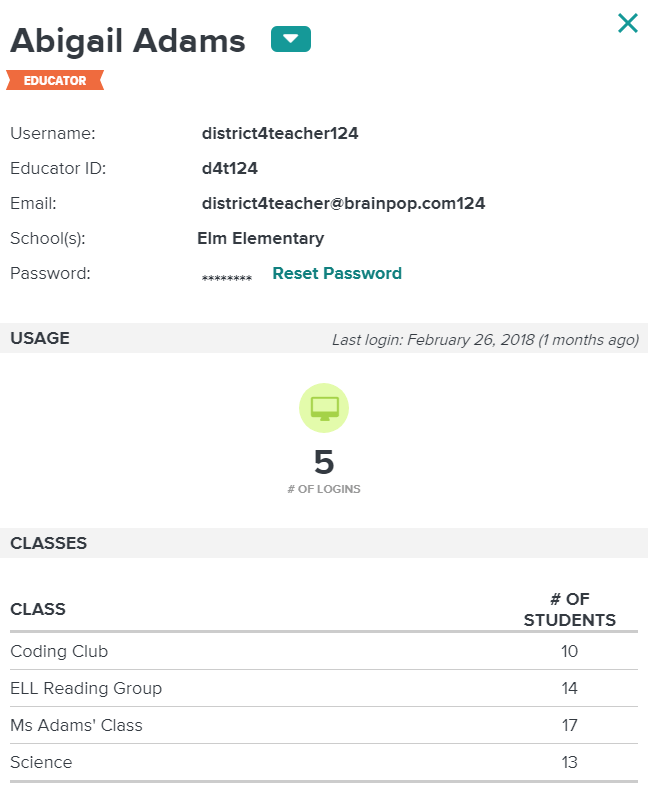 Usage data updates monthly on the first day of each month. 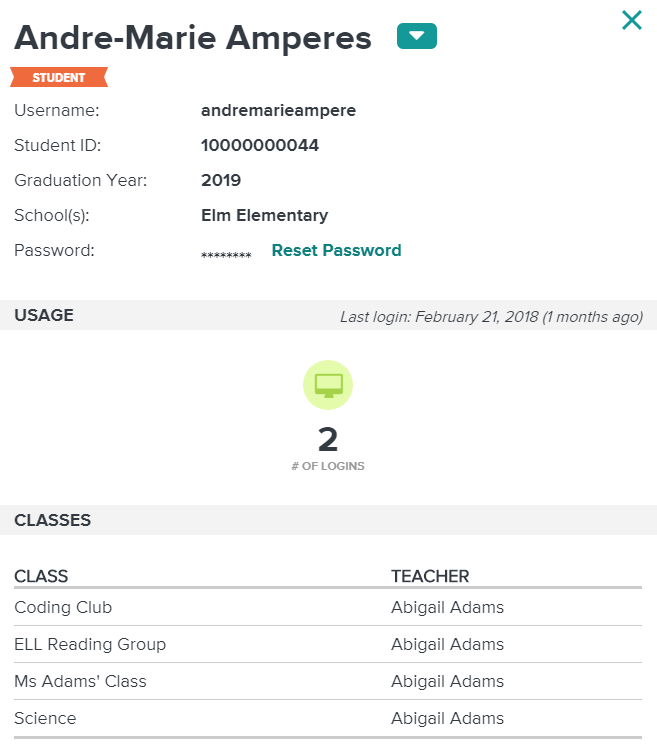 For example, April usage data becomes available on May 1st.